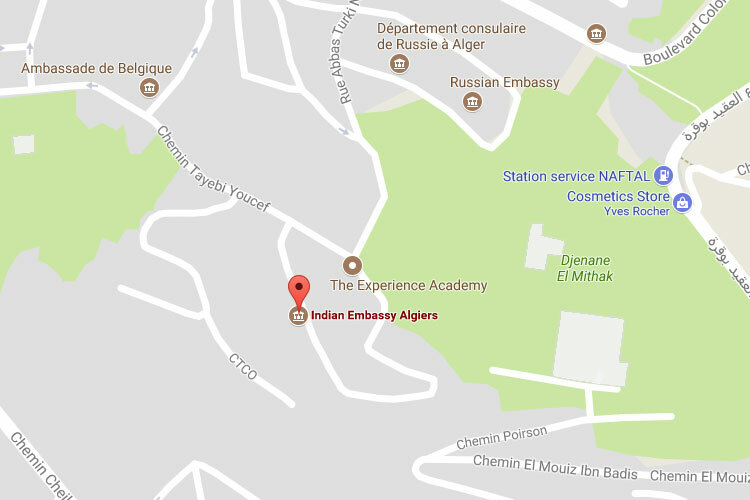 If you are in Algiers you can find the Indian Embassy in the capital city of Algiers. You can ask the Embassy about an Indian visa as well as applying for a new Indian passport if you are an expat in Algeria. The Indian Embassies contact details as well as a map to the Embassy in Algiers. Note the office hours or operating hours of the Indian Embassy in Algeria. You can also contact the Embassy to register a death as well as register a marriage. You may also apply for a new passport at the Embassy and you will need passport photos as well as copies of the first two pages of your old passport. You will also need a letter from your current employer as well as a letter from your employer. There is of cause also cost for these. You will also need a copy of your work permit for Algeria.